On the evening of March 21, 2012, Paul Volcker spoke to a large audience at Cooper Union's Great Hall. Mr. Volcker, who is the former chairman of the Federal Reserve, focused his talk on calls for further reform of both the government and the financial system. 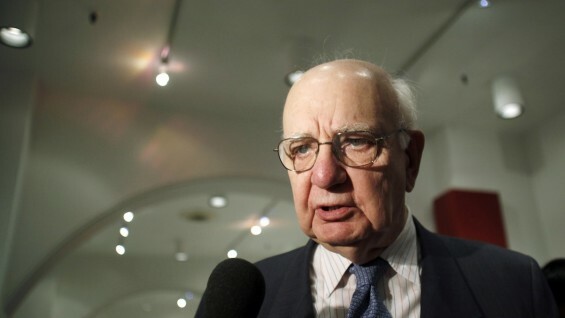 Mr. Volcker, an economist who is widely credited with ending widespread U.S. inflation in the 1970s and early 1980s, addressed current financial reforms developed in reaction to the U.S. recession. He described the reforms as "promising but definitely incomplete." Specifically, Mr. Volcker spoke of the need to regulate money market mutual funds, what he described as a "new systemic risk." He also argued for the importance of building a private market for mortgages in order to replace the government subsidized entities that currently dominate that market. He acknowledged the progress has been made toward improving financial regulatory oversight, capital and liquidity standards and rules for derivatives. Mr. Volcker, who has served as an economic adviser to President Obama, advocated what came to be known as the Volckerrule, limiting banks from making speculative bets with their own money. Some banks have criticized the regulation, saying that it could increase risks, while governments outside the U.S. have said it could curb their ability to raise money. Mr. Volcker's took audience questions after his talk. His talk was videotaped and is presented below in its entirety.